Used to be hosted live online, took it down when I dropped my VPS Though. 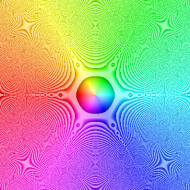 While not as quick as the C version, it still can make some pretty interesting results. The main trouble I had was Python versioning hell, were the version I was stuck with on my old host didn't support everything I needed.